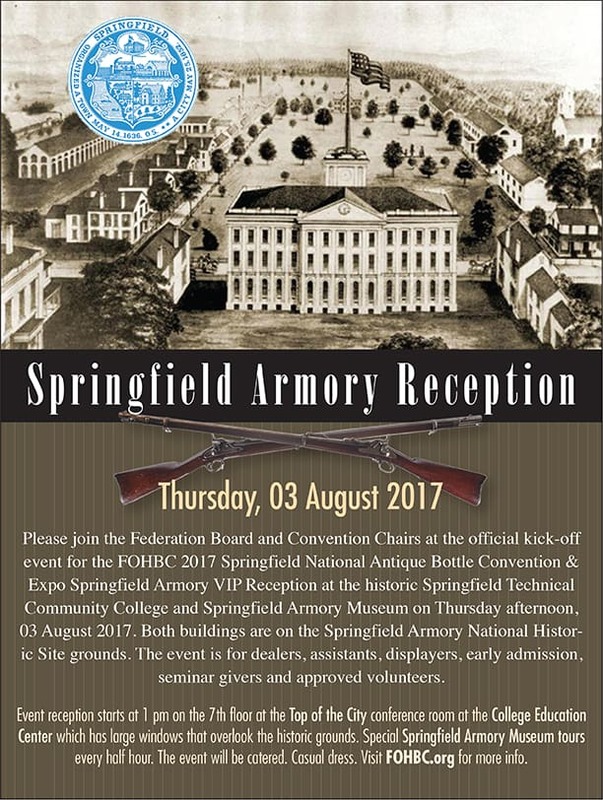 Springfield Armory Reception | Thursday, 03 August 2017, 1:00 pm to 5:00 pm at the Springfield Technical Community College, 1 Armory St, Springfield, MA 01105, College Education Building, 7th Floor (Top of the City Room). 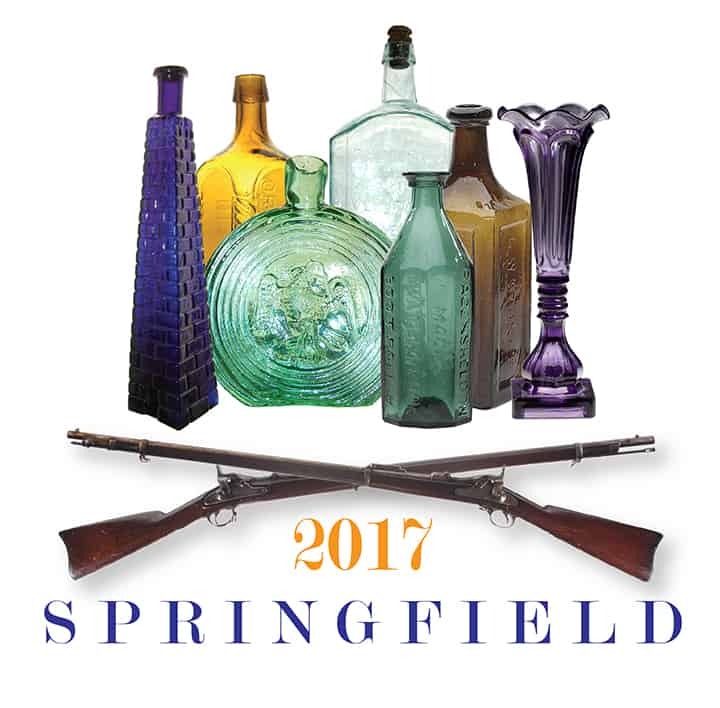 Battle of Springfield | Thursday, 03 August 2017, 7:00 pm to 10:00 pm at the MassMutual Center, Rooms 1 & 2. 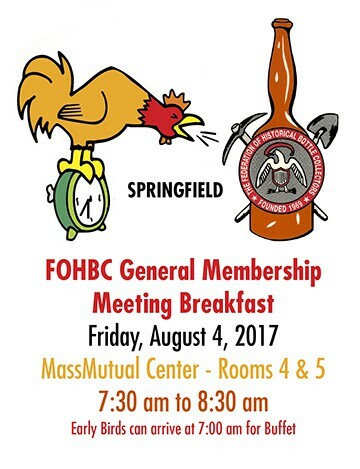 The breakfast will take place on Friday, August 4th, 2017 from 7:00 to 8:30 am with the membership meeting starting at 7:30 am in the MassMutual Center, Meeting Rooms 4 & 5. Please join us for a full buffet breakfast and our annual membership meeting. 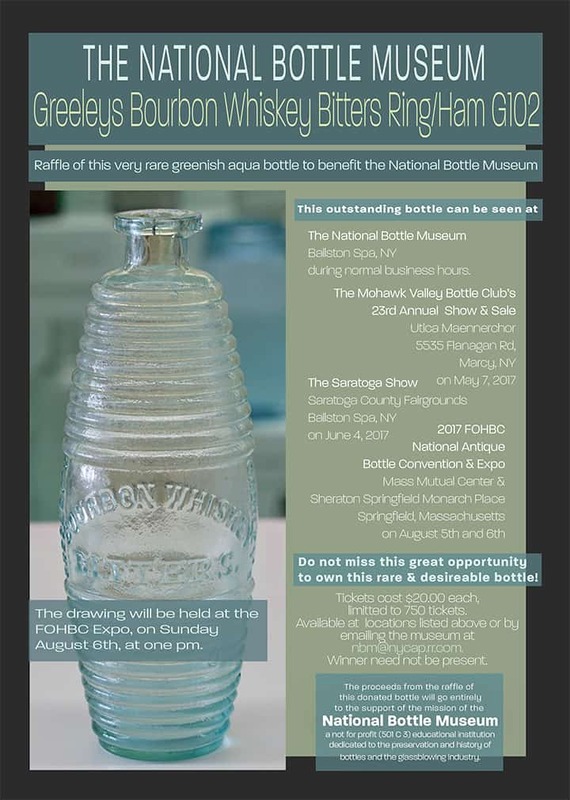 This event is specifically for current and paid-up FOHBC members and will be at no cost to attendees. 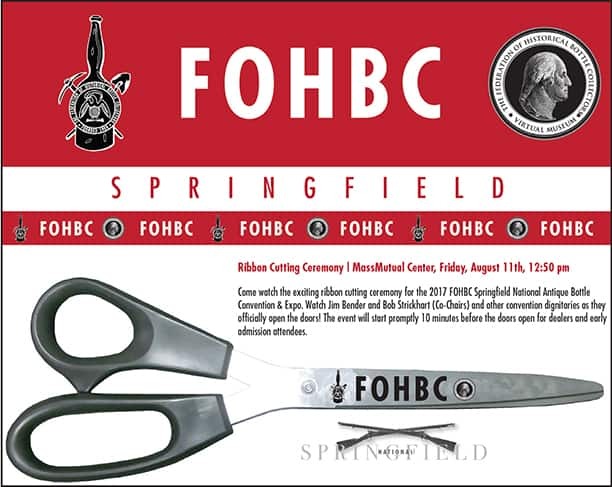 We encourage you to come and be part of the FOHBC by participating in this event, our once a year General Membership Meeting. Get the latest news on the Federation, the Virtual Museum and our hobby. 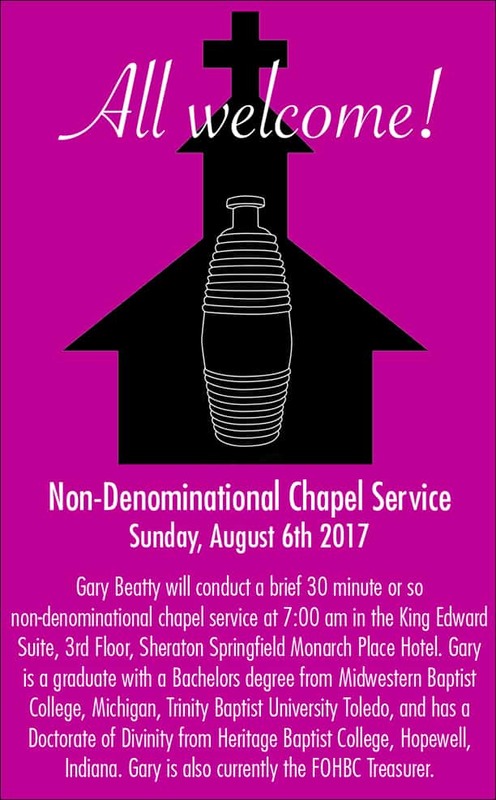 You will be able to join the FOHBC, or renew membership prior to the breakfast. 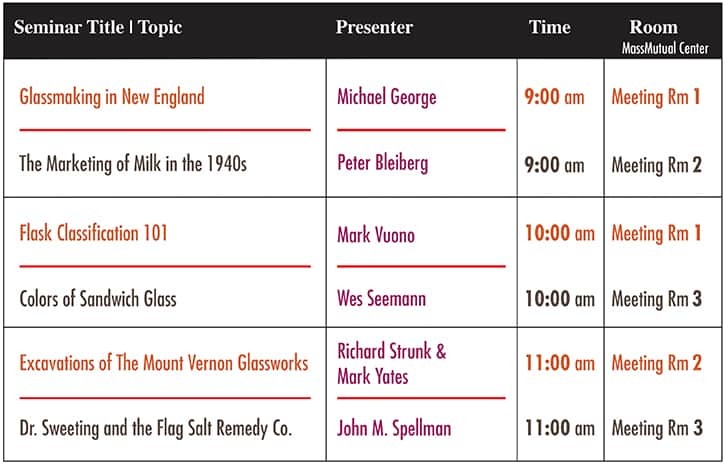 Educational Seminars | Friday, 04 August 2017 at the MassMutual Center, Meeting Rooms 1-3, 9:00 am to Noon. 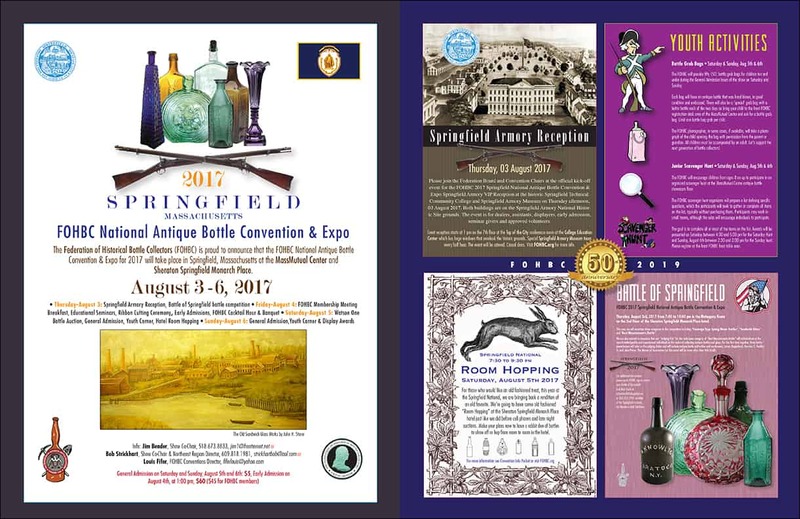 Come watch the exciting ribbon cutting ceremony for the 2017 FOHBC Springfield National Antique Bottle Convention & Expo. 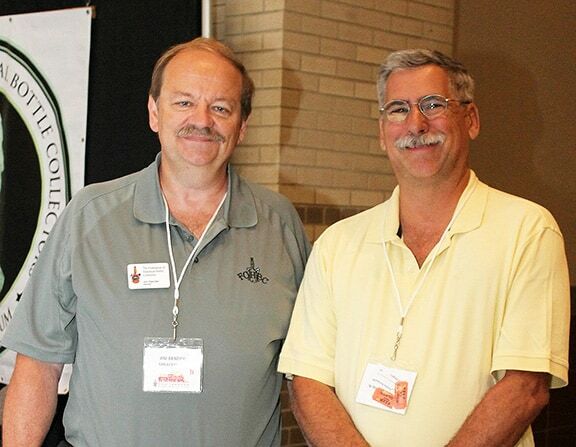 Watch Jim Bender and Bob Strickhart (Co-Chairs) and other convention dignitaries as they officially open the doors! 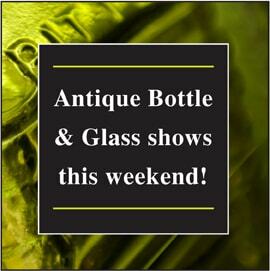 The event will start promptly 10 minutes before the doors open for dealers and early admission attendees. 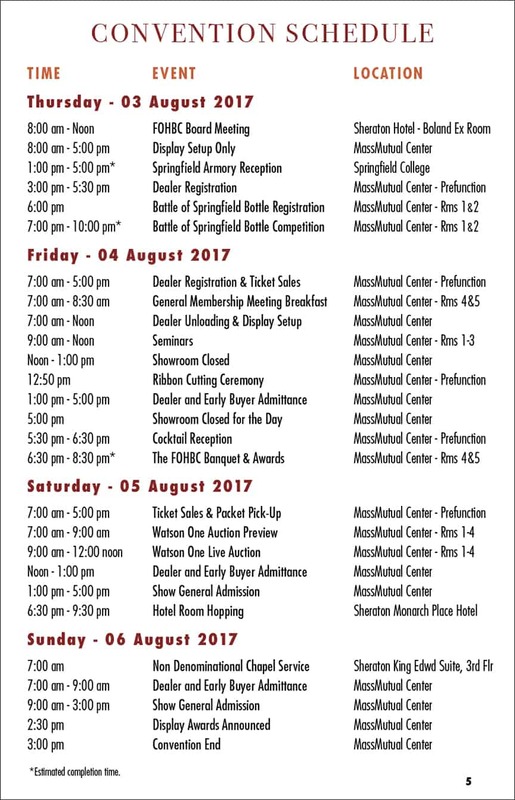 The Banquet will be the biggest one in years with the Watson tribute and other festivities. When making reservations, please note meal options – Chicken franciase with wild rice and sautéed tri colored cauliflower, Parmesan crusted cod with roasted baby bliss potatoes and sautéed haricot vert or Tuscan ratatouille tart. 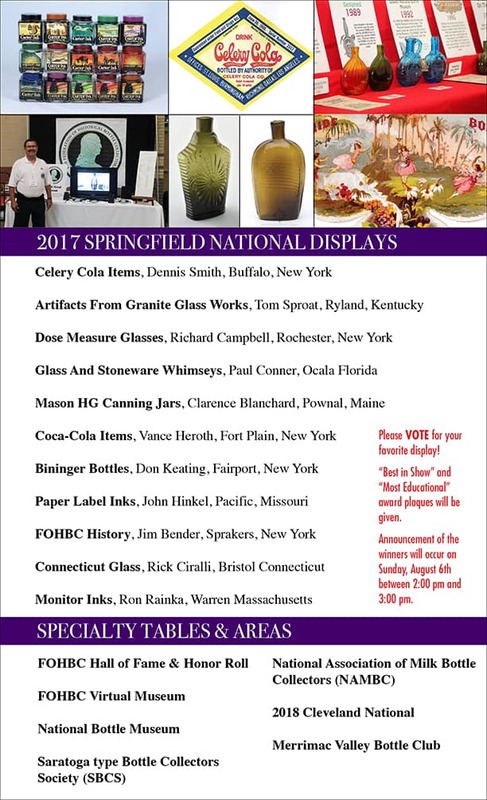 Alicia Both, FOHBC Public Relations Director, wants as many children and young adults to attend the Springfield National. Remember these folks are the future of our hobby. 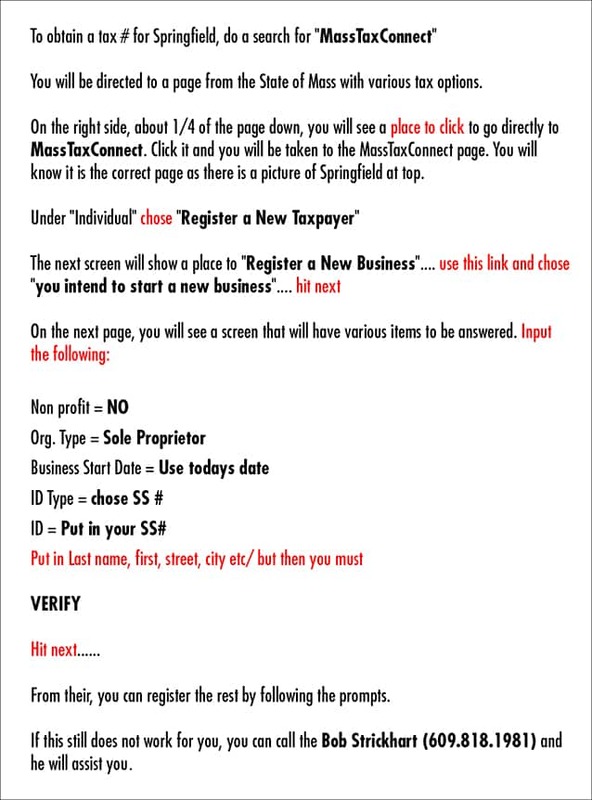 Primary Host Hotel: For Online Hotel Reservations: Click Here Rate is $119. 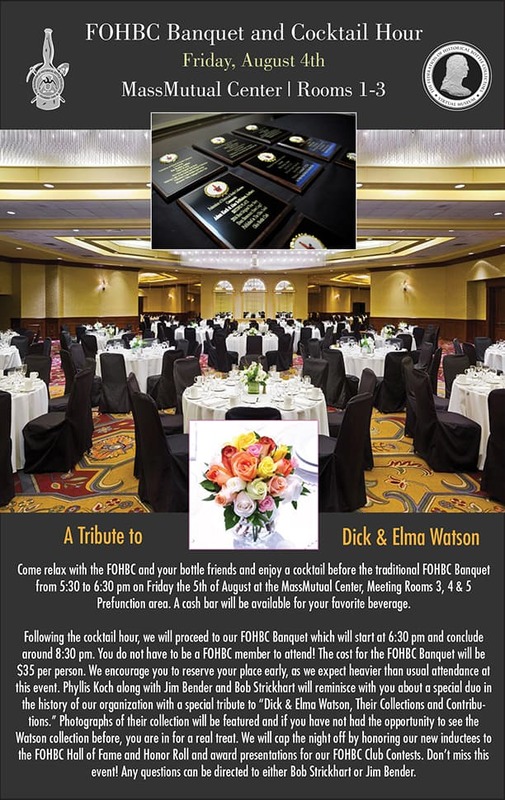 If guests prefer to telephone for reservations please call: 1-800-325-3535 or 413-781-1010 to book reservations. 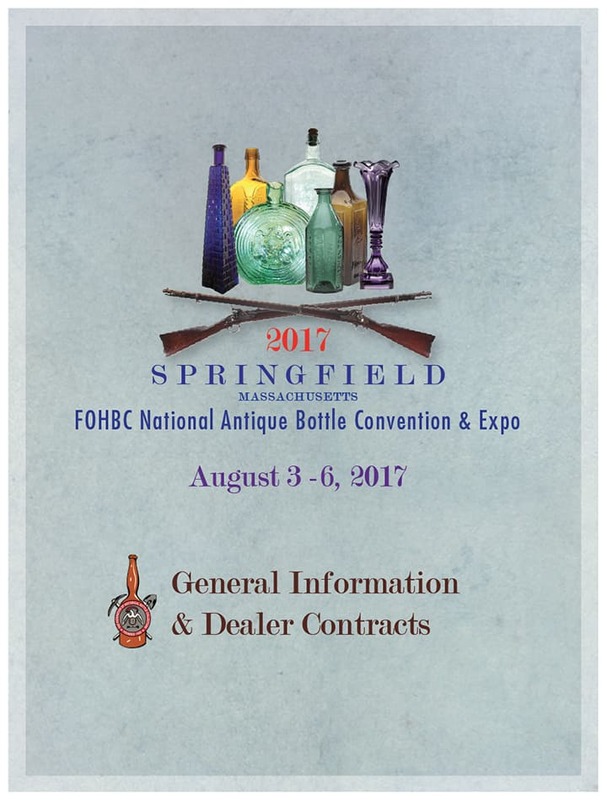 You will have to mention the Federation of Historic Bottle Collectors National Convention group name to receive the discounted $119 rate. All Rooms are now Sold Out. Use Marriott below. 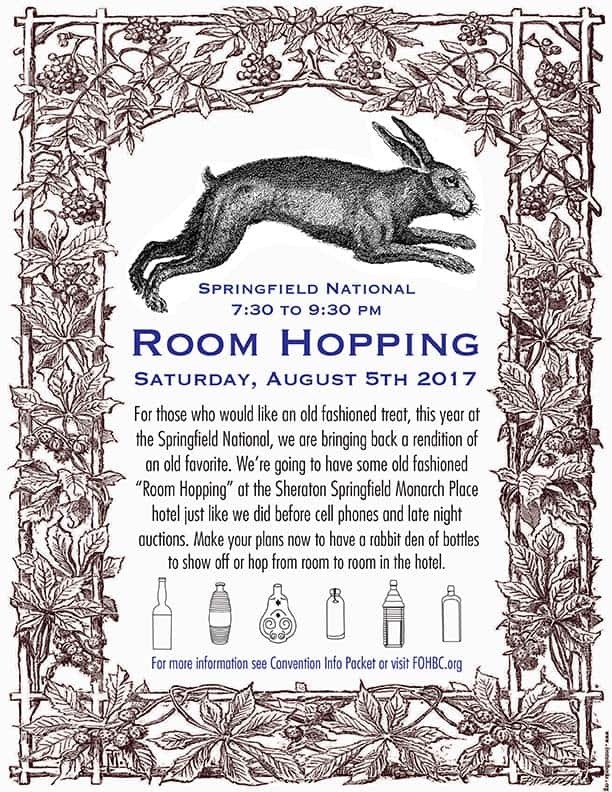 Back-Up Hotel (across street): Here is the reservation link your guests can use to make online reservations: Book your group rate for Historic Bottle Collectors Room Block. You will find the information for your online reservation link below. If you have questions or need help with the link, please do not hesitate to ask. 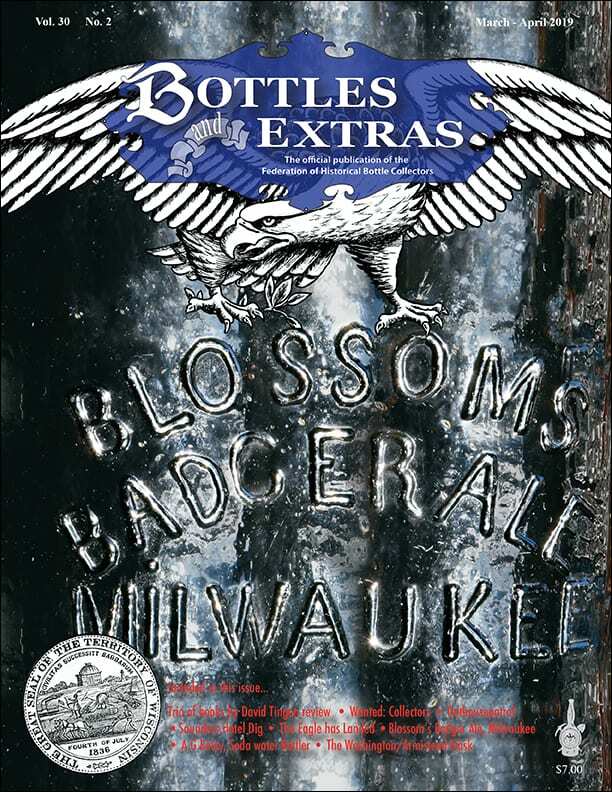 Guests may also call 1 (800) 228-9290 and ask to make a reservation in the Historic Bottle Collectors Room Block. 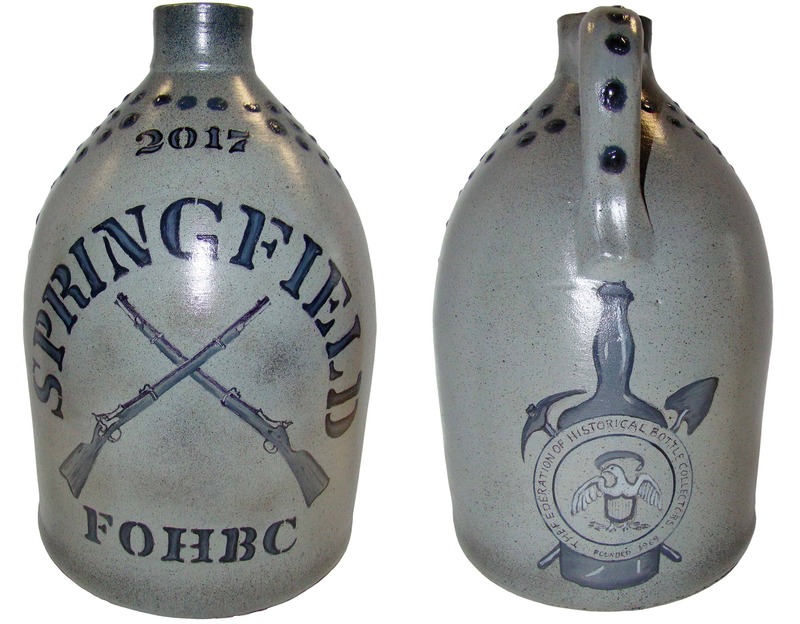 Raffles: The FOHBC will be raffling off two (2) 2017 Springfield National commemorative stoneware jugs [see page 143]. Tickets will be $2 each or three for $5. 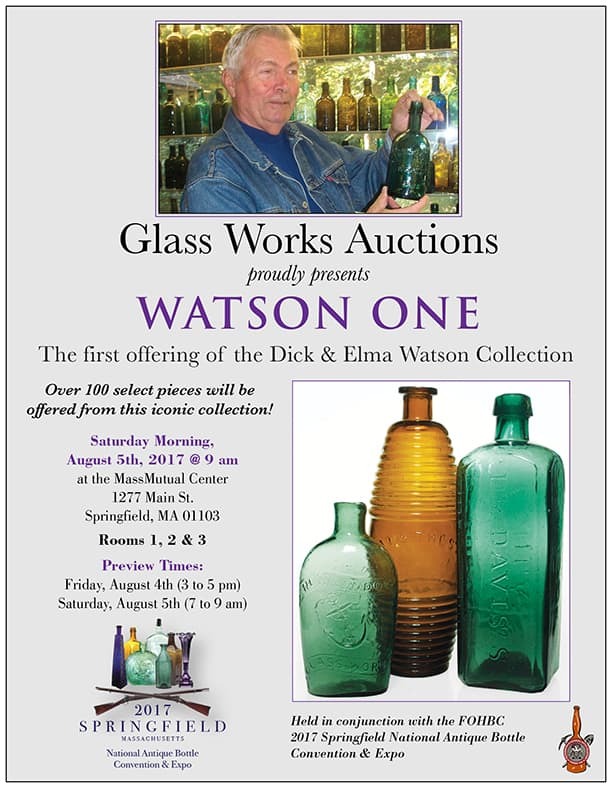 Raffle tickets will be numbered and show the jug image on the tickets. Play to win! Drawings: A $1,000 donation has been given to the FOHBC 2017 Springfield National Convention by the FOHBC to support a series of drawings during the public portion of the show on Saturday and Sunday. Vouchers will be given to the lucky winners to be spent at the show. Drawing Times: Saturday & Sunday: Every hour from 10:00 am until 2:00 pm. 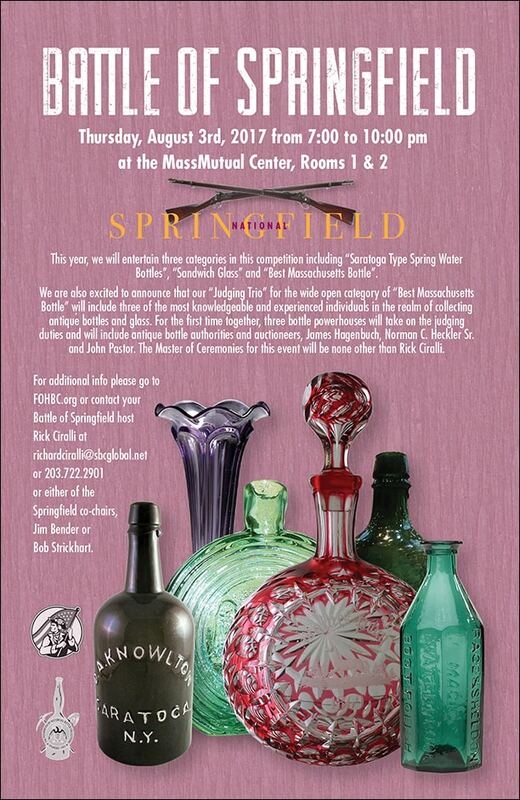 The prize will be a coupon to give a dealer towards the purchase of a bottle. The dealer will then turn the coupon in to the front FOHBC desks for redemption for cash. 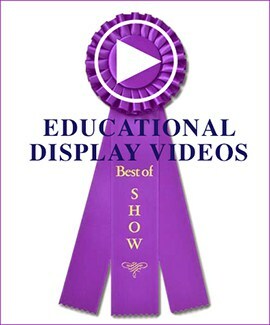 There will also be a $100 prize (show gift certificate) announced at the banquet. 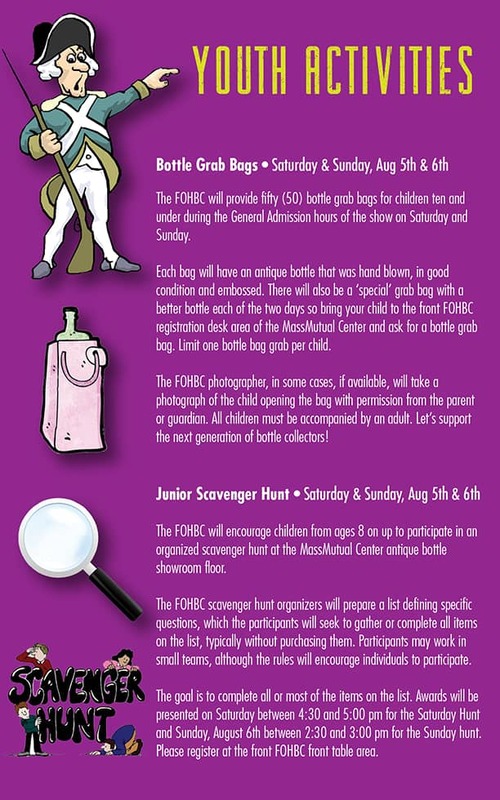 FOHBC officers, show chairpersons, and their spouses/partners or children are not eligible for the drawings. Any consultants to the FOHBC are also not eligible. Only one win per person. 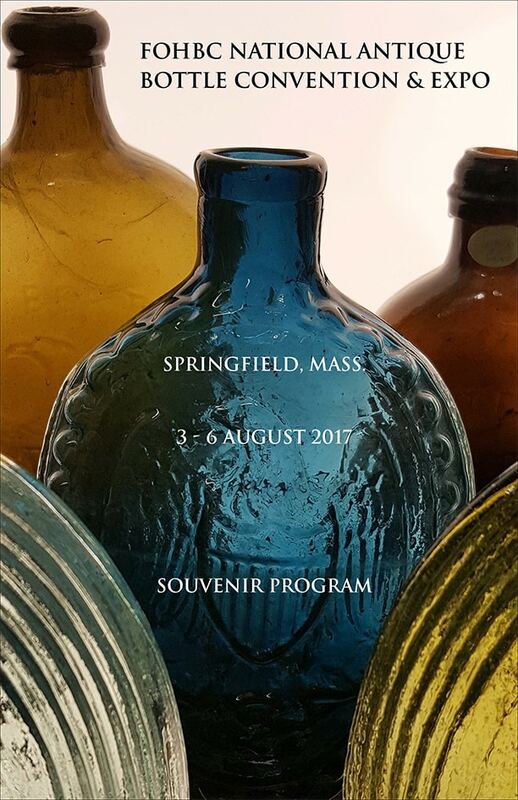 FOHBC 2017 Springfield National Antique Bottle Convention & Expo Co-Chairs, Jim Bender (left) and Bob Strickhart (right).